The message today brought to our attention some of the essentials for Salvation. Of course, this is not meant to be comprhensive, but it surely is conclusive - we need to get to know the living Word of God through the written Word of God! This week we had the privilege of having Neville Peter come and share with us. Please enjoy his children's story, special music and sermon. "You can't have love without righteousness, and you can't have righteousness without love." Today's message was a kick in the backside - reminding us that Jesus is coming very soon and we ought to be getting ready to meet Him now! How would you live today if you knew Jesus was coming next week? Jesus wants us to be an active witness today! 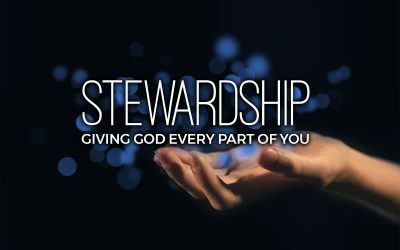 This week Mark shared the fifth installment of our series on Stewardship. Due to having the Communion service, it was a shorter message, but no less powerful. Tune in if you are keen for the challenge! Today's message was a very practical study about the duty that each one of us has to use our specific gifts to support God's work. Tune in with us and see if you can't find your place in the interconnected web that is God's work. The third message in our latest series on Stewardship was a call to a lifestyle of generosity - systematic giving. We shouldn't need to be emotionally manipulated in order to give. It can be something that we incorporate into our lives. Listen along with us! Today's message was part two of our series on stewardship and it was about finanical giving - specifically tithes and offerings. Strap yourself in and join Dave for a challenging message! Unfortunately we were unable to record the sermon this Sabbath. It was a great message though, so please read the supplied outline. "Evaluate before you contemplate." In today's message Michael gave us the formula for success in the Christian life. Sometimes we think that our actions are the part that we should focus on, but today we were reminded that the battle begins in the mind. Merry Christmas! Today's message was a reminder as to why a Saviour was necessary, as well as a challenge to be sure that we aren't caught unawares as were the Jews. If you give us your email address we will let you know as soon as we post more content.